Though you need to be a little bit careful because these methods are only available in ConcurrentHashMap class and not in ConcurrentMap interface, so you need to use a ConcurrentHashMap reference variable to hold the reference, or you need to use type casting to cast a ConcurrentHashMap object stored in ConcurrentMap variable. Btw, this is one of the many useful library enhancement present in JDK 8. If you want to learn more about changes in Java 8, I suggest you take a look at What's New in Java 8 course on Pluarlsight. It provides a nice summary of useful changes from Java 8. The Java Concurrency API has concurrent versions of popular Collection classes e.g. CopyOnArrayList for ArrayList, ConcurrentHahsMap for HashMap and CopyOnWriteArraySet for HashSet, but there is nothing like ConcurrentHashSet in Java. Even though, CopyOnWriteArraySet is thread-safe it is not suitable for application where you need a large thread-safe set. It is only used for application where set sizes stay small and read-only operations vastly outnumber write operations. So, when you ask Java programmers about how to create ConcurrentHashSet without writing their own class, many will say that they can use ConcurrentHashMap with same values. This is in fact what Java also does to create HashSet. 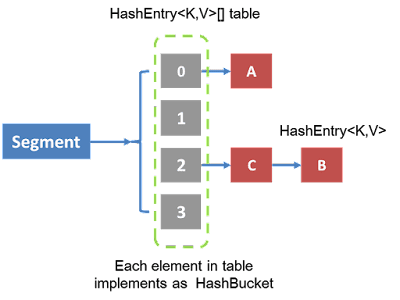 If you have read my article how HashSet internally works in Java, you may remember that HashSet internally uses HashMap with the same values. But, the problem with this approach is that you have a map and not set. 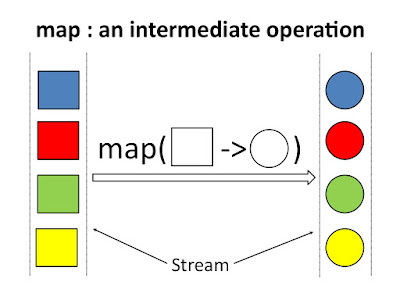 You cannot perform set operations on your ConcurrentHashMap with dummy values. You cannot pass it around when some method expects a Set, so it's not very usable. The other option, many Java programmer will mention that you can get a Set view from ConcurrentHashMap by calling the keySet() method, which in fact return a Set, where you can perform Set operations and pass it around to a method which expects a Set but this approach also has its limitation. For example, the Set is backed by ConcurrentHashMap and any change in Map will reflect in Set as well. Another limitation was that you cannot add new elements into this key set, doing so will throw UnsupportedOperationException. If you are not familiar about this exception, I suggest you join The Complete Java MasterClass - Updated for Java 11, one of the best resources to learn Java by yourself. Anyway, both of these limitations are now thing of past because JDK 8 has added newKeySet() method which returns a Set backed by a ConcurrentHashMap from the given type where values are Boolean.TRUE. Unlike Set view returned from the keySet() method, you can also add new objects into this Set. The method is also overloaded and accepts an initial capacity to prevent resizing of Set. Btw, this is not the only way to create a concurrent, large, thread-safe Set in Java. You can also use the newly added, overloaded keySet(default value) method to create a ConcurrentHashSet. This method returns a Set view of the keys in the ConcurrentHashMap, using the given common default value for any additions (i.e., Collection.add() and Collection.addAll(Collection)). This is of course only use you can use the same value for all elements in the Set, which is Ok in most situations because you don't really care about values in Set. 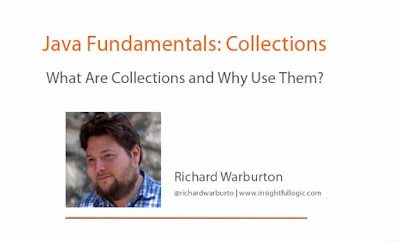 Remember, HashSet is also a HashMap with the same values for all elements, See Java Fundamentals: Collections by Richard Warburton for more details. you can also perform other Set operations e.g. addAll(), remove(), removeAll(), retainAll(), contains() with this Set. It is also thread-safe, so can be used in multi-threading Java applications. You can learn more about set-based operations on The Complete Java MasterClass - Updated for Java 11. That's why I have commented that code, but, Set returned by newKeySet() and keySet(mapped value) methods allows you to add new elements into the Set, there is no error there. By the way, this is not the only way to create a thread-safe Set in Java. Even before Java 8, there is a class called CopyOnWriteArraySet which allows you to create a thread-safe set in Java. It is similar to CopyOnWriteArrayList and only suitable for application where set size is small and you only do read the only operation because it copies all elements from Set to a new Set every time you write into it. 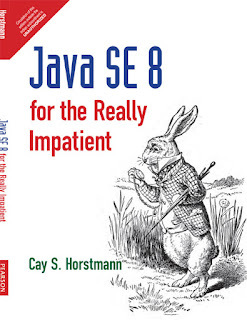 See Java SE 8 for the Really Impatient to learn more about concurrent collections in Java 8. 1. It is best suited for applications in which set sizes generally stay small, read-only operations vastly outnumber mutative operations, and you need to prevent interference among threads during traversal. 3. Mutative operations (add, set, remove, etc.) are expensive since they usually entail copying the entire underlying array. 4. Iterators do not support the mutative remove operation. 5. Traversal via iterators is fast and cannot encounter interference from other threads. 6. Iterators rely on unchanging snapshots of the array at the time the iterators were constructed. That's all about how to create ConcurrentHashSet in Java 8. The JDK 8 API not only has major features like lambda expression and stream but also these kinds of small changes which make your day to day coding easier. It's not super easy to create a ConcurrentHashSet in Java using the newKeySet() method. You don't need to use a map like a set with a bogus value or live with the limitation of set view returned by keySet() which doesn't allow you to add new elements into the Set. P. S. - If you don't mind learning from free resources then you can also check out this list of free Java 8 and Java 9 courses to learn better. P. P. S. - If you like to learn from books then Java 8 in Action is the best book to learn both Java 8 features as well as other API enhancements made in JDK 8.